Saw this in our garden today. 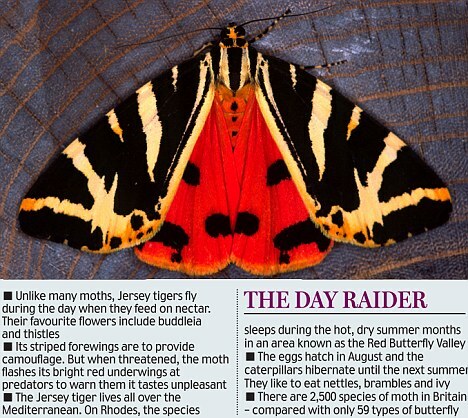 It`s a very rare Commonwealth Games Butterfly, believe me, I know these things Martin, seen only every four years. I just saw a rat on my bird table. Vulcan bomber look alike with a nibbled left wing. It's beautiful isn't it. How on earth did it get over here I wonder. As for the rat - yes I was surprised to see it in broad daylight. There was another a few weeks ago. It seemed to disappear under the decking at the end of the garden, which worries me. I have been reading up everything I can on line about what to do, but I did think I might go up and have a word with the Council people to get their advice. If you put down poison, then there is the problem of the other wildlife, but I suppose we could possibly shove it under the decking where the birds are unlikely to go. Another problem with poison is "where does the poisoned animal actually die"? We lived in a townhouse complex in Hampton, Virginia, which had a significant rodent problem. Management got professiional exterminators who put the poison down very carefully to avoid affecting pets and children. Unfortunately a poisoned rat managed to get into the wall of our unit (2"x 4" wood with 1/2" gypsum board skin - typical US construction. It died in the space and decomposed. Summer temps in that area are in the high 80's F. We had an unpleasant couple of weeks before the stink went away. Yes that's a real problem isn't it. Something to be aware of. I am thinking along those lines Audrey. We have visitors arriving today for the week, but the first job after that is to get in touch with the council people for advice. Thanks Audrey, I saw another one yesterday.